Halloween is the time of year where candy cravings may drive you. The month of October often leaves no room to swerve from sugar yearnings. However, the following treats may help you ingest Halloween candy with a bit of healthiness. These treats work best with people who are obsessed with sour candy. To keep your craving at bay and avoid that sour candy sugar crash, make a trail mix of nuts with golden berries. These treats are very tart and will easily replace processed refined-sugar-laden candies. Also, this snack is a great one to make and pack up in a small baggie for the movies or a concert. For gummy bear lovers, you can make your own version of healthy gummy bears at home. Just mix up a few tablespoons of gelatin, lemons and a sweetener such as honey. Pour this mixture into a gummy bear mold. It’s that simple to make a healthy batch of gummy bears. For chocolate lovers, you can choose to indulge in low sugar or organic chocolate bars. Better yet you can make your own freezer fudge. Mix coconut oil, cocoa powder, butter and pink salt, then freeze for about 20 minutes before enjoying your homemade freezer fudges. 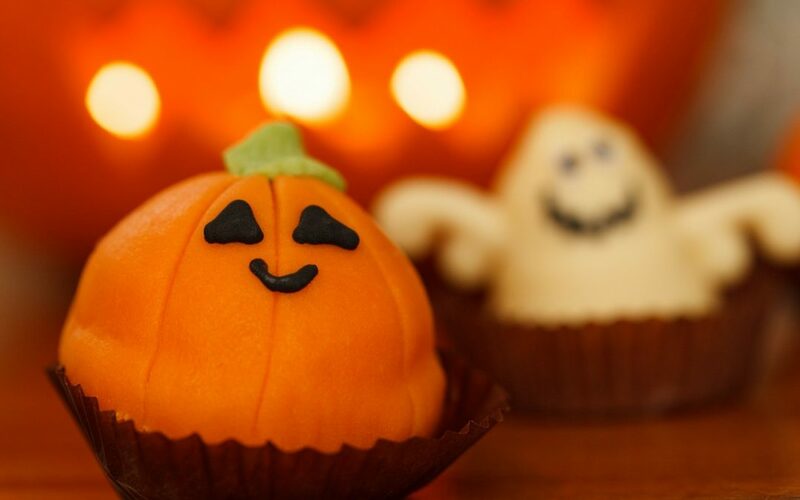 Let us know in the comments below if you have any healthy Halloween treat ideas to share!